Italian Cuisine is one of the most favourite among today’s generation. Pasta is one among them.There are many types of Pasta and different ways to cook it too. It is loaded with varieties of cheese and Sauce. Well home made is always the best. You can control the amount of cheese and sauce you use. I like to eat spicy Pasta.Well I can see the eyes rolling…. Pasta??? and Spicy????. 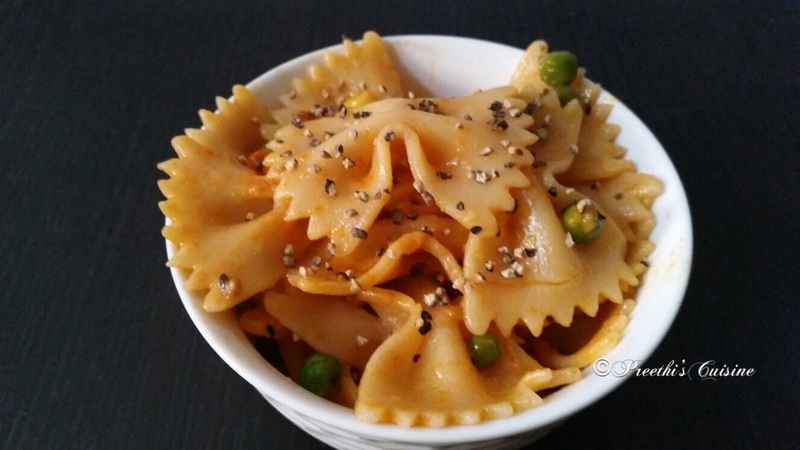 I love spicy food and hence make Pasta to suit my taste buds. 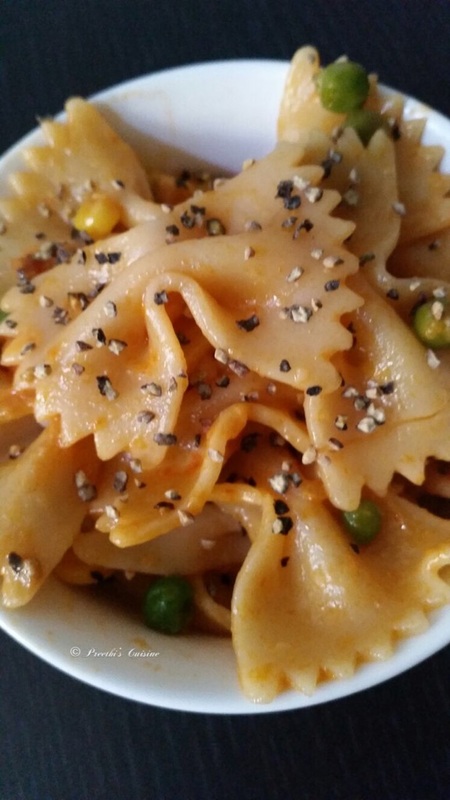 This Pasta recipe is on the quickest and easiest recipe you will ever find. 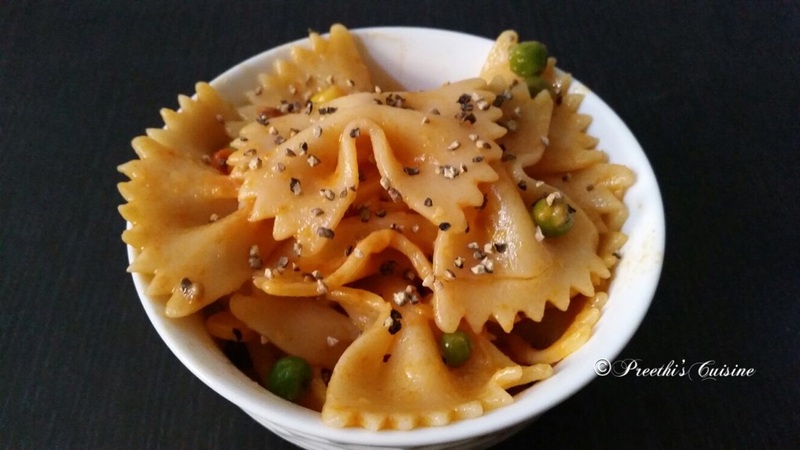 I have used Farfalle Pasta also known as the “BOW TIE” pasta. Farfalle means “BUTTERFLY” in Italian. This is one of my favourite Breakfast these days. Boil two cups of pasta in water. Add some oil and salt to taste while boiling. Once done drain the water and keep it aside. Put some Ice cubes so that the Pasta does not stick to one another. Heat 2 tsp butter in a pan. Add corn, peas and chopped tomato (you can add veggies of your choice). Saute for 3 to 4 mins. Add the cooked pasta. Mix well and add mozzarella Cheese .After 2 mins add spicy chilli sauce, tomato sauce and sriracha sauce .Add salt to taste and mix well . After 2 mins switch off the stove .Sprinkle some coarse pepper and close the lid for 2 mins.